Hang out in a retro living space tempted by nature, science fiction, and lots of chairs. This inspiring look takes the best of '70s era interior design, sans the crazy kool-aid colors. It's modern meets moderate hippie. We'll meet you in the bungalow below. This mid-century style sofa is a '70s favorite with earthy toned leather and future-esque chrome steel legs. It's a bold centerpiece with all the right elements for tasteful period design. It's also surprisingly comfy. This modern minimalist piece inspired by the looks of popular Scandinavian pine is perfect for adding a natural texture layer to a room. Hang books or blankets; the Jette Ladder Shelf is as useful as it is fanciful. Another mid-century modern piece inspired by nature and industrial trends, this deep lounge handwoven paper cord chair is made with the essential materials and colors to dress up your modern bungalow. Influenced by the popularity of science fiction during the time, this futuristic wire base coffee table is a gorgeous statement piece for the '70s bungalow. 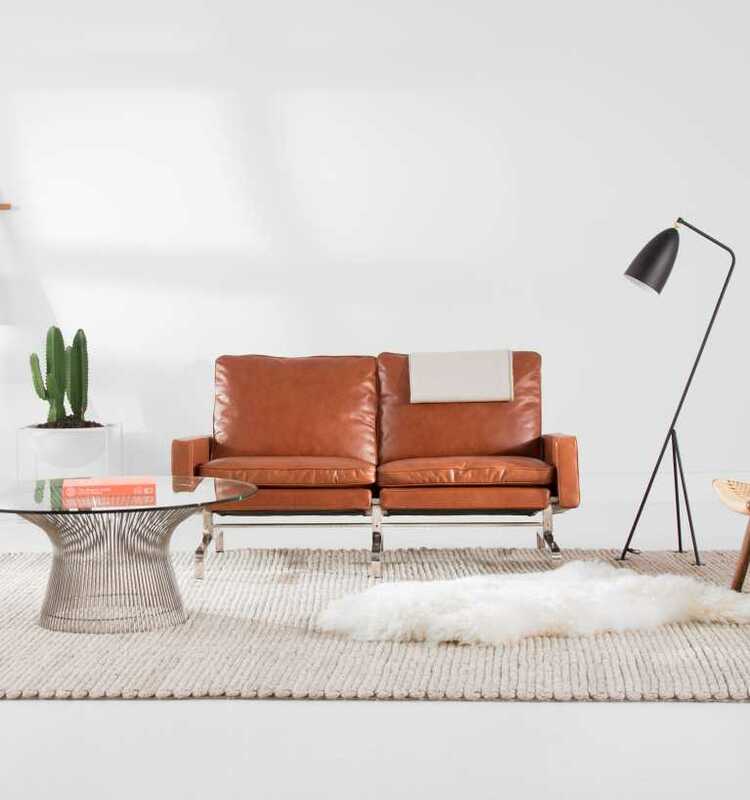 It's confident structure pairs especially well with the curated items of this revival look book. The obscure geometry of this early-century light form represents both old school design and the forthcoming future. It's nothing from the 70s, but at the same time, everything. A necessity for any common room hangout, the Asta Rug is a cozy complement to the '70s bungalow. A natural hue selection in this case keeps things casual while being an immediate style upgrade. The only thing left is the quintessential shag rug. Not into the Seventies?